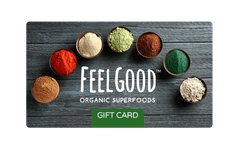 Feel Good Organic Superfoods™ Omega 3-6-9 is the first truly USDA Certified Organic plant source omega fatty acids formula that is suitable for vegans, vegetarians, those with fish allergies or those who dislike the flavor or side effects of fish oil. Heart healthy omega fatty acids are essential to our body. They are the building blocks for cell membranes and nerves, as well as the raw material for anti-inflammatory hormones.